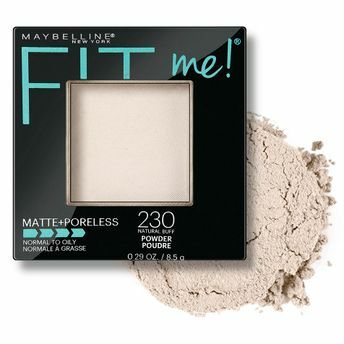 Fit Me Presed Powder provides breathable, long-wearing, lightweight coverage with a natural, smooth finish. Anti-Shine Perlite absorbs oil for a naturally matte finish without looking cakey. Gives a natural finish and does not look cakey. Suitable for sensitive skin and all skin types. For best results, use with the FitMe Foundation, FitMe Concealer and FitMe Blush. Explore the entire range of Compact available on Nykaa. Shop more Maybelline New York products here.You can browse through the complete world of Maybelline New York Compact .Alternatively, you can also find many more products from the Maybelline New York Fit Me Matte + Poreless Powder range.